Kick start your day with hiking or biking in the Summer and Fall and snowshoeing or nordic skiing in the Winter, followed with a yoga session at the end of the excursion. The day excursions are in the serene mountain setting of Crested Butte, CO, on well packed trails. You will be able to enjoy lush mountain scenery, fresh mountain air, exercise and relax while meeting new friends on a guided day excursion. The day excursions all-inclusive and are for beginner and intermediate levels. We do have advanced level day excursions available upon request. Crested Butte, CO, is authentic, friendly and serene. It is an 1880’s mining town and designated a National Registered Historic District. Crested Butte is situated at 8,900 feet above sea level. Colorful Victorian buildings and exceptional restaurants line its streets. It boasts a fun nightlife, art galleries, theaters, a historic museum and very unique shopping. Crested Butte embraces all four seasons with lots of adventure for the outdoor enthusiast. Winter brings lots of snow on the mountain tops, aspen leaves adorn the trails and streets in the Fall with vivid orange, yellow and red colors, wildflowers show their beautiful vibrant colors in the Spring, and in the Summer the rivers flow and the trails are breathtaking. Whatever the season, visitors will have an amazing one of-a-kind experience. 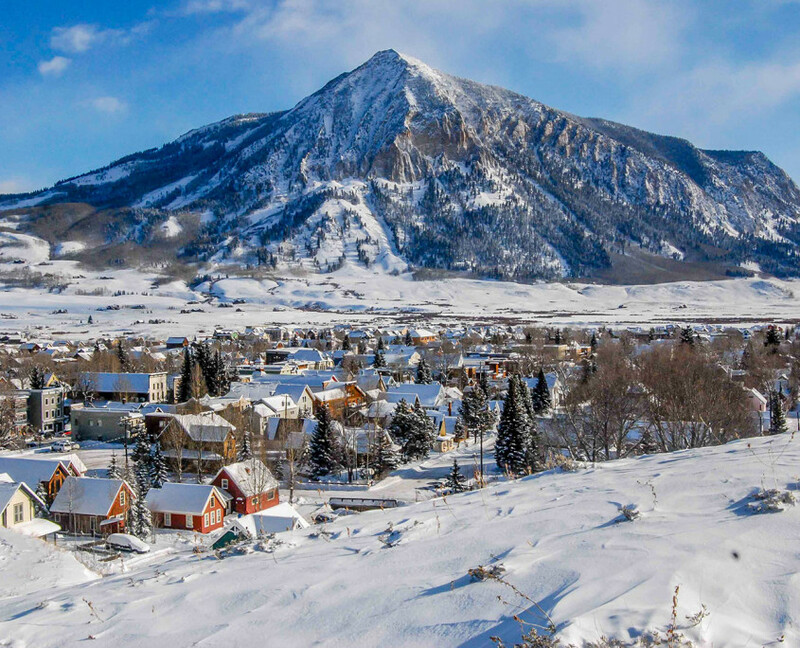 Crested Butte hosts many festivals, events, has exceptional lodging, dining options, recreation and live performances. It is home to the Wildflower Capital, Whatever USA, Pro Challenge, Art’s Festival, Big Air on Elk, Mountain Biking Enduro, Grand Traverse, Fat Tire Bike Week, The People’s Fair, Crested Butte Film Festival and was voted the Number One Ski Town in Powder Magazine.